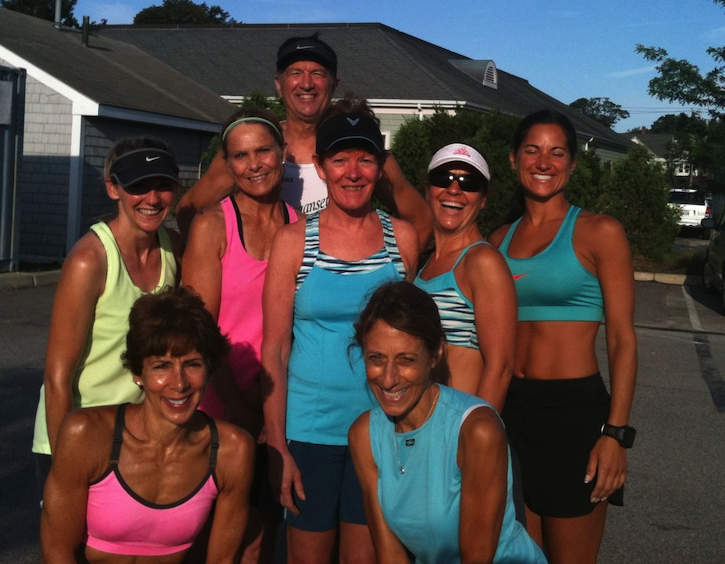 Thanks Joyce for this great picture from summer 2013, during which there was an active group of NRA folks who participated in the weekly weekend runs in Newport and Jamestown. Special thanks to Rick C., Ryan B., Paul L., and Vinny H. for showing up to help with course support. Ryan and Paul paced the winner for the first 16 miles, then Ryan switched to the bike. 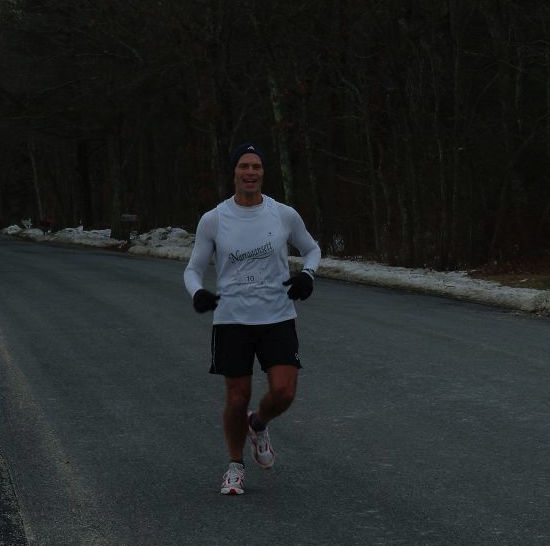 Vinny paced the second- and third-place duo for the first 16 miles, after which race director’s car guided them. Rick, on his bike, paced the fourth runner for the whole race. Thanks also to the runners and their family/friends who supported them. 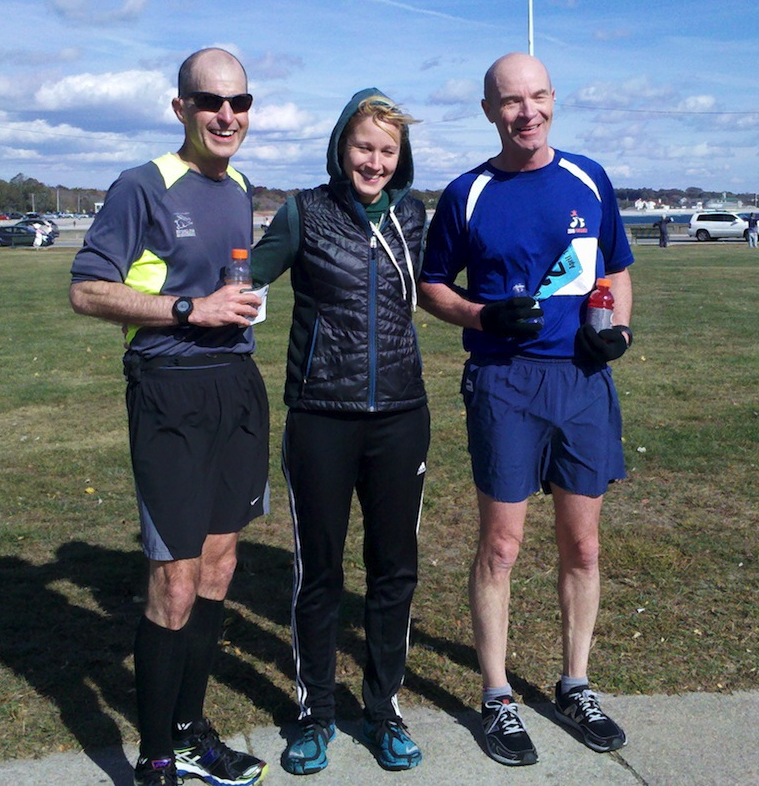 It was a perfect day and, as usual, the Gansett Marathon received rave reviews from its participants. The following photo shows the overall winner (center) and the second and third runners. The future of the Gansett Marathon will be discussed at our next board meeting.